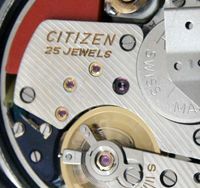 Why vintage Citizen wrist watches? 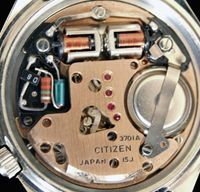 after my first rather random foray into vintage watches, snagging a few hand-winders mainly of Swiss origin, I started to research the merits of Japanese watches from the 1960s and 70s. I was impressed with reports on their quality, reliability and robustness, in particular the Seiko models. And there was a fair amount of historical information available, and a good few collectors posting photos of good looking watches on various forums. And so started a small Seiko collection, with examples of dress, sports and chronograph models, as I became a more and more experienced eBay-er! 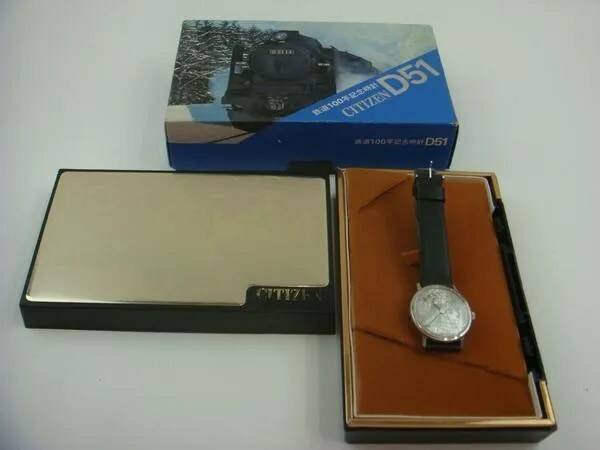 As I searched the net for possible purchases I came across Citizen models from the same era – but I could find very little reliable information about the brand and the model lines they produced. Very different from Seiko. I remained drawn to Citizens, and despite the lack of information being widely available, there were posts from collectors here and there which fueled the fire, and I made my first purchase. I remained frustrated though about the lack of information about these old Citizens, so rather than remain largely in the dark, I set out to fill some of the gaps. 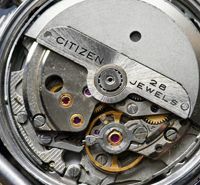 I hope this blog will help others learn more about the models and movements, and their development over the important 30 years from around 1950 to 1980, and appreciate the range and variety of great watches made by Citizen in that era. 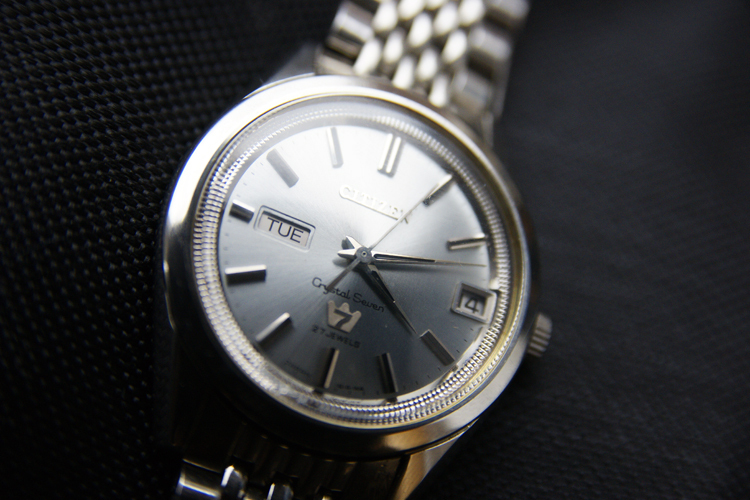 I’m also developing a database on vintage Citizens on Dr Seiko’s Seikoholics forum. Please take a look – and join a great forum 🙂 – via the blogroll. 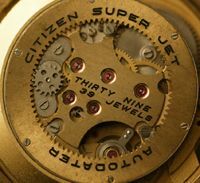 10 Responses to Why vintage Citizen wrist watches? 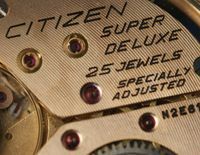 I have a Citizen 6700 4-673760-K Stainless Steel 209008955 . The dial commemorates the 100 th anniversary of the Japanese Railroad . I don’t know the year or Value any help out there. Hi Byron, thanks for visiting my blog 🙂 The 100th anniversary is for the years 1872 to 1972, and this gives us a nice clue for the age of the watch 😉 These were made in 1972 (I presume only in that year, but I’ve not seen serial numbers on these before). The serial number on yours – 209008955 – gives us a production date of September 1972 (i.e. ‘209’). I’ve seen a few of these for sale (mainly on Yahoo Japan) but I’ve not got one myself, nor have I seen the movement. It’s not yet in the Movement Table as a result, but I think it’s a small hand wound calibre with either 19 or 21 jewels. I avoid advising on value, since there are so many variables, but to be honest I wouldn’t know what to say about this one since it is a special commemorative edition that may or may not appeal to watch collectors. This was also made in September 1972. Thanks, that is exactly how I remember it now. I changed out the band, for some reason, and through away the box, I guess. You never know what you have till years later. This watch was given to me from my wife’s cousin in Japan who was a top Toyota Executive at the time. I know he brought 4 watches to the US back in 1972 and gave them to me and my brother in laws and father in law for Christmas in 1972. The reasoning for all this search is my wife and I are moving to Costa Rica next year to retire and we are in the process of selling off all items we can to raise capital. If you have any idea of value or know of where I might find out about the value I would appreciate it. I will probably sell it on eBay or Craigslist. Hi Byron, I’m sorry I can’t be more helpful about value. I don’t remember seeing one of these on eBay so I’ve got nothing to go on. If you need to translate to English, right click and hit the translate option. I have a Citizen Seven Star, Automatic, 71103667 GN 3, Stainless Steel . I don’t know the year or Value any help out there. Thank you! Hi Kevin, thanks for visiting my blog. Your Seven Star auto will be from November 1967. Can you please tell me what else is on the case back, and what’s on he dial.